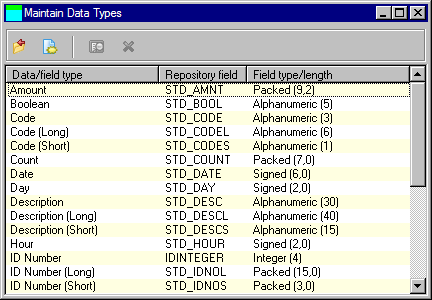 A list of defined data types is displayed, alphabetically, below the toolbar. the field type and length. 4.1.3 Deleting a Data Type.